On trial for murder, Larry Ballentine explains an unbelievable story. He recounts how he philanders with other women while his rich, loving wife Greta tries to keep him in line. According to Larry, his girlfriend Verna dies accidentally in a car crash and his distraught wife tosses herself over a cliff after he runs out on her. The jury has an impossible decision on this one. 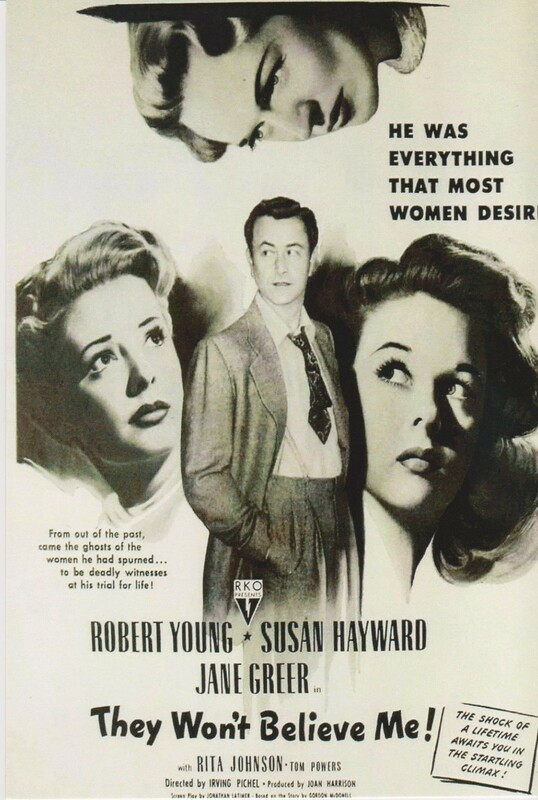 Stars Susan Hayward, Robert Young, Jane Greer, Rita Johnson, and Tom Powers.